The famous portrait photographer Yousuf Karsh emigrated from Armenia to Canada as a 17-year–old boy. He grew up in the household of an uncle in Quebec, a professional photographer. Karsh established his own photography studio in Ottawa in 1931 while still in his early 20s. 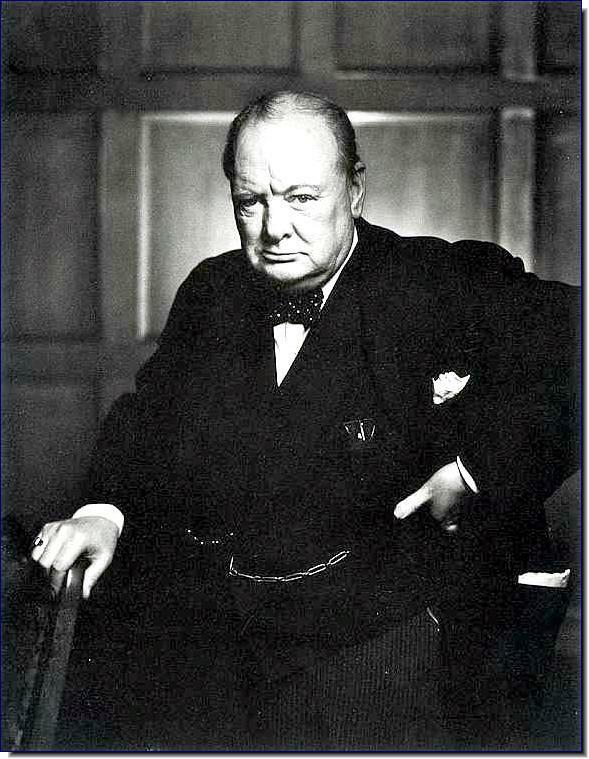 This portrait of Winston Churchill, prime minister of England, became famous immediately for its depiction of the man many in the Western world considered the strongest and most courageous leader during World War II. The picture is famous also for Karsh’s dramatic use of studio lighting in black and white photography, which was to define his work in portraiture for decades afterward. Karsh, Yousef. Winston Churchill – 1948. Wikimedia Commons.